Further to changes already reflected on our website, we make this further announcement that the closing date for the Sentinel Annual Poetry & Short Story Competitions 2013 has been extended to the 21 December, 2013. We have already received hundreds of entries for both poetry and short story categories. This extension of closing date will give more writers the time to enter and make the contests fiercer. For original, previously unpublished poems up to 60 lines long and short stories up to 2000 words long, in English Language, in any style, on any subject. Eligibility: writers of all ages and gender of all nationalities living in any part of the world are eligible to enter. Entry Fees: £5 per poem or story (first 2 entries) £3.50 for any subsequent poem or story. Thank you for entering the Sentinel Literary Quarterly Poetry & Short Story Competitions, September 2013. The results were scheduled for release on the 31st October 2013, but are slightly delayed. I have spoken to the judges and they are doing everything to deliver the results as soon as possible. The lead time for results of the short story competition is 7th November, 2013, and we should have the poetry results latest by the 14th of November. We will publish the results within 24 hours of receiving them. We have now revised and updated information on all outstanding or forthcoming books by individual authors and anthologies featuring various authors expected from SPM Publications. Here is the schedule all the way to February 2014. We are committed to this schedule in order not to affect our plans for the 2014/2015 cycle. 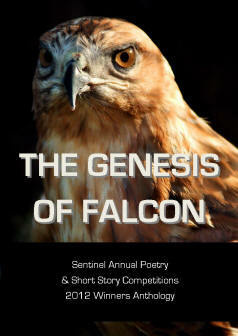 An anthology of winning works from the Sentinel Annual Poetry & Short Story Competitions 2012.